Beth writes: Hi Ben! Here’s my question. My husband, son and I are all using my iTunes account. It was originally set to my iPhone, but now whenever either one of them gets an app (free or otherwise) on either the iPad or iPod, I end up with a copy of that app on my phone. Do you happen to know the iPhone setting I need to change to stop this from happening? And if I do turn it off, will I be able to get at those apps — especially the ones that were purchased — in the future? Do mysterious new apps keep appearing on your iPhone? Try switching Automatic Downloads off. 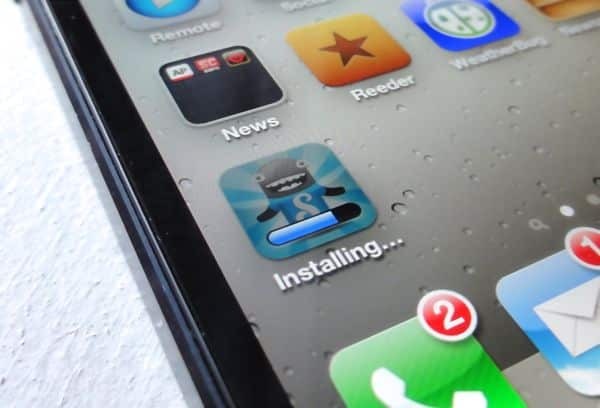 Once you turn Automatic Downloads off, you’ll no longer find mysterious new apps, music tracks, and e-books purchased by your husband and son installing themselves on your iPhone. That said, you’ll still be able to download (or re-download, as the case may be) any iTunes/App Store items purchased with your Apple ID, whenever you want. Tap Settings, then scroll down and tap iTunes & App Stores. Now, want to download or re-download a previously purchased app? Just open the App Store app, tap the Updates tab at the bottom of the screen, then tap Purchased. 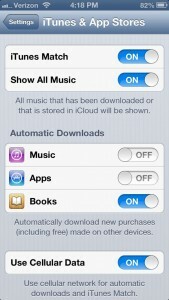 To re-download music from iTunes, open the iTunes app, tap the More tab at the bottom of the screen, then tap Purchased. Last but not least, you can re-download purchased iBooks by launching the iBooks app, tapping the Store button, and tapping the Purchased tab at the bottom of the screen. Hope that helps, Beth. Still have questions? Let me know! Click here for more iPhone tips!